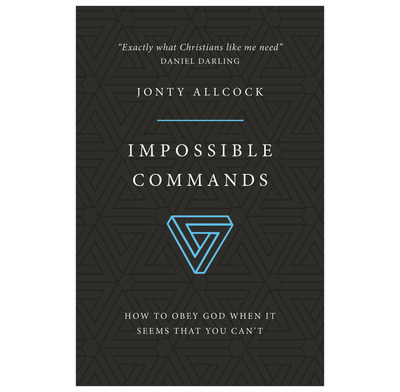 Jonty Allcock is one of the most engaging gospel communicators in the UK today. He combines exegetical faithfulness with creativity and relevant practical application. In his latest book, he shows Christians that God’s power enables us to live a life of joyful obedience. This uplifting and challenging book will liberate believers from the despair and frustration of feeling that God asks us to do the impossible. Whilst God does give us humanly “impossible” commands, the glorious good news is that he makes it possible for us to obey them! If you want your life to be transformed from crushing and dutiful legalism to heartfelt longing to obey then read this book.